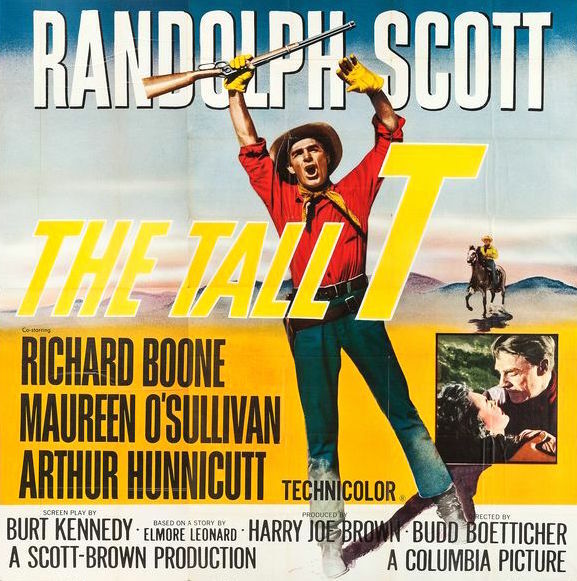 Warner Archive | 50 Westerns From The 50s. 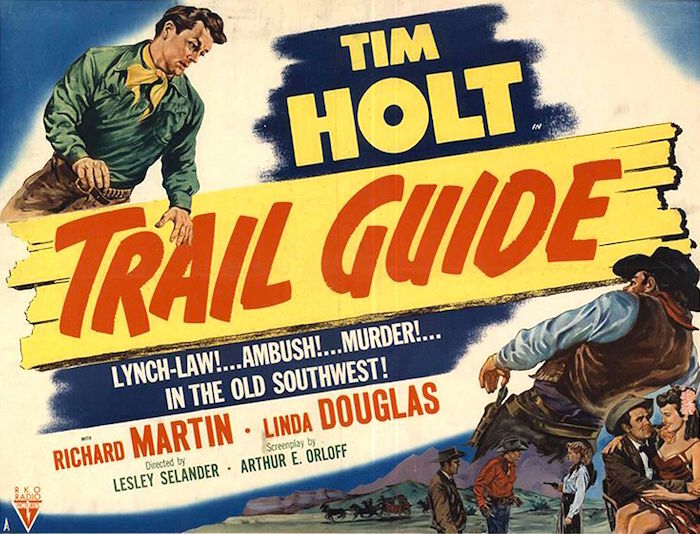 Tim Holt Tuesday #16: Trail Guide (1952). I’m way overdue for a Tim Holt Tuesday. Sorry, Mr. Holt. 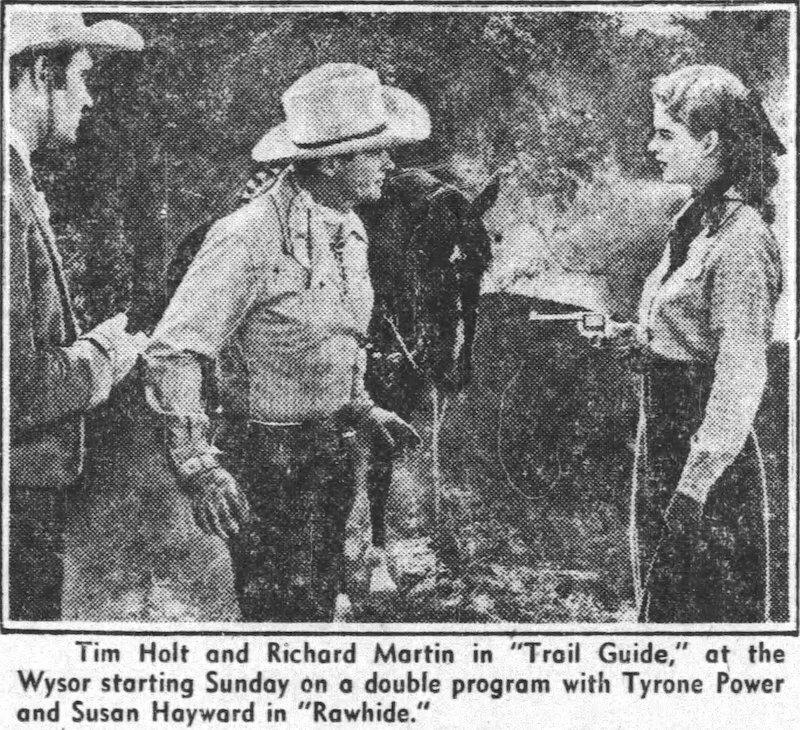 By 1952, series Westerns were winding down, and Trail Guide (1952) would be one of the last of Tim Holt’s pictures for RKO. As the series began its ride into the sunset, the budgets got smaller — leaving Holt and Richard Martin, along with director Lesley Selander, to keep things going by simply being so damn good at what they do. And that’s what you have here, some real pros bringing effortless skill and charm to each and every one of the picture’s 60 minutes. Tim and Chito lead a wagon train to Silver Springs (thanks to stock footage from Wagonmaster), a town where ranchers detest homesteaders. 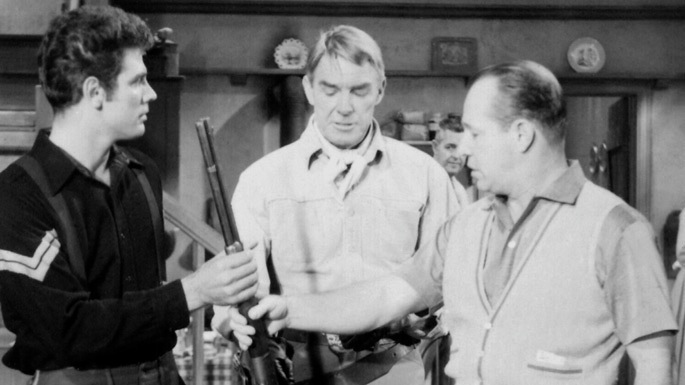 Tim encounters brother-and-sister ranchers (Linda Douglas and Robert Sherwood) and a crooked saloon owner (Frank Wilcox) as he tries to help the settlers stake their claims. There’s a great fistfight, plenty of riding and the usual back-and-forth with Tim and Chito. It looks like they stayed closer to LA, probably for budget reasons, so we don’t have those stunning Lone Pine vistas. But DP Nicholas Musuraca makes the most of any location. His work is stunning in some of these things. When God’s your set decorator, budget doesn’t matter. 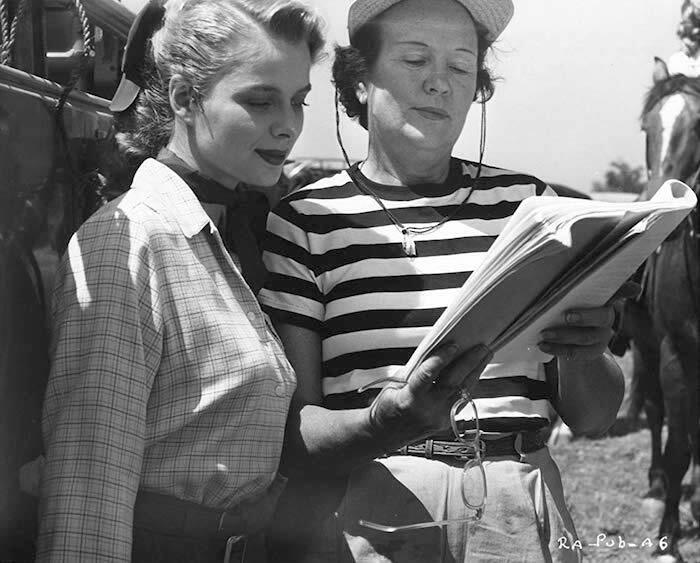 Linda Douglas consults the script. 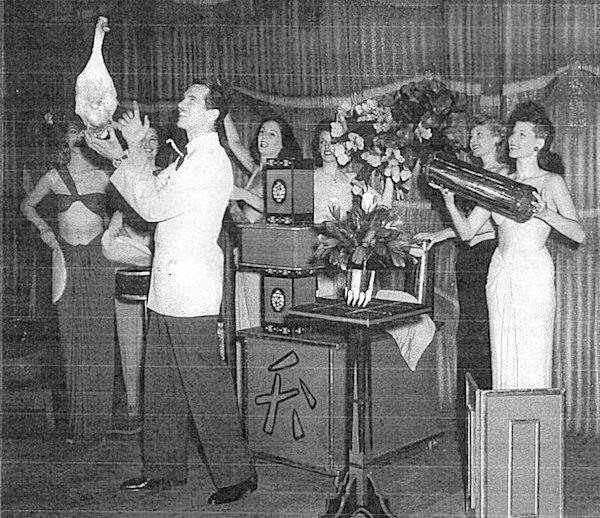 Linda Douglas had a very short film career. She’d later marry Hank Greenberg of the Detroit Tigers. (There’s a great documentary on him, 1998’s The Life And Times Of Hank Greenberg. Look for it.) She’s fine here, and very pretty. Frank Wilcox makes a great bad guy. (Why are saloon owners always crooks?) 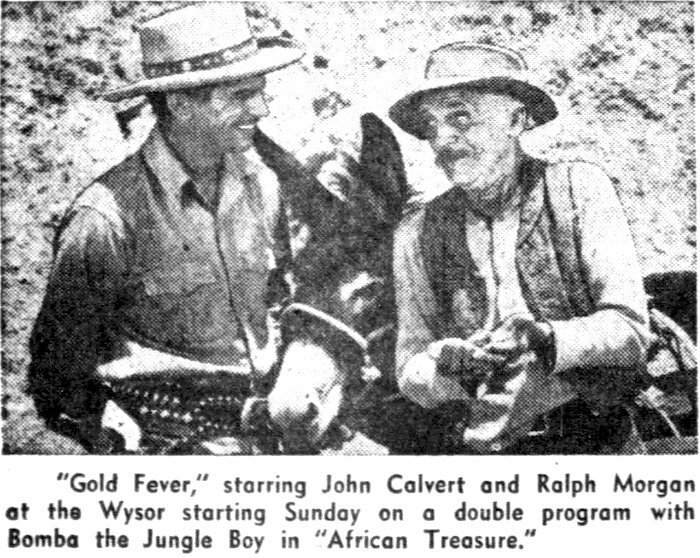 It was funny to have Wilcox talking about the oil found on the range, when a decade later, he’d play Mr. Brewster, the oil company executive who makes Jed Clampett a millionaire on The Beverly Hillbillies. Lighting isn’t around this time. Tom London is funny as an old codger with a supposedly trained dog. 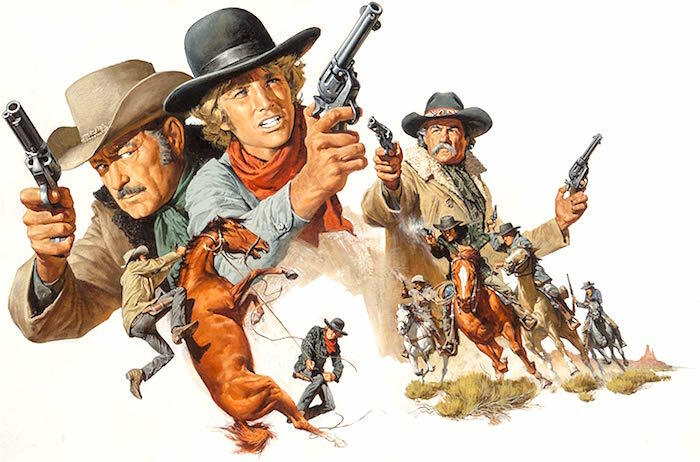 It’s a shame that the series Western left us as things were getting so good — look at these Holts, the Monogram Wild Bill Elliott pictures or the Witney-directed Roy Rogers movies. 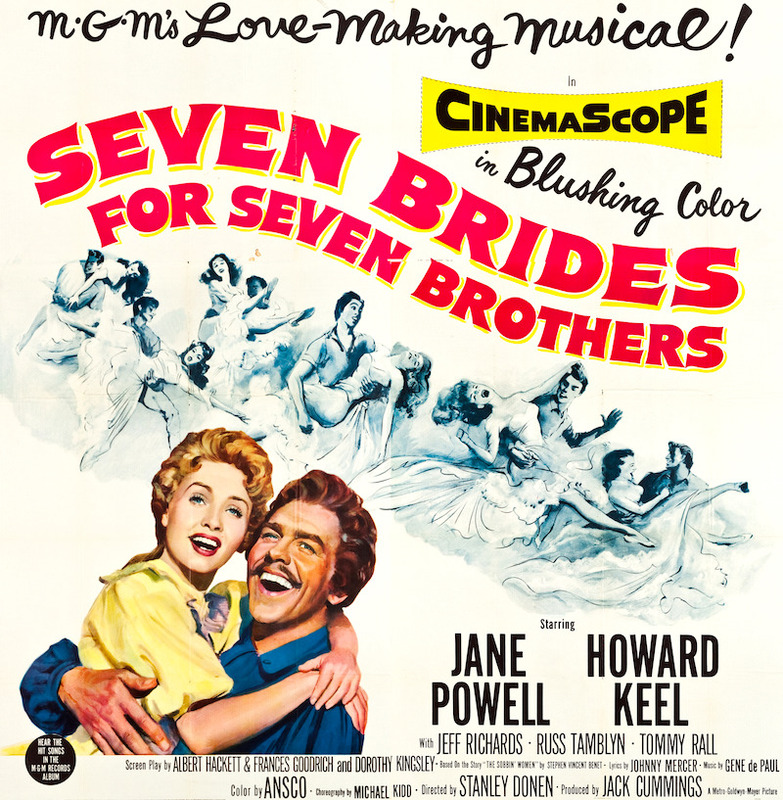 Luckily, they made a lot of ’em, and they’re turning up on DVD and sometimes Blu-Ray looking terrific. 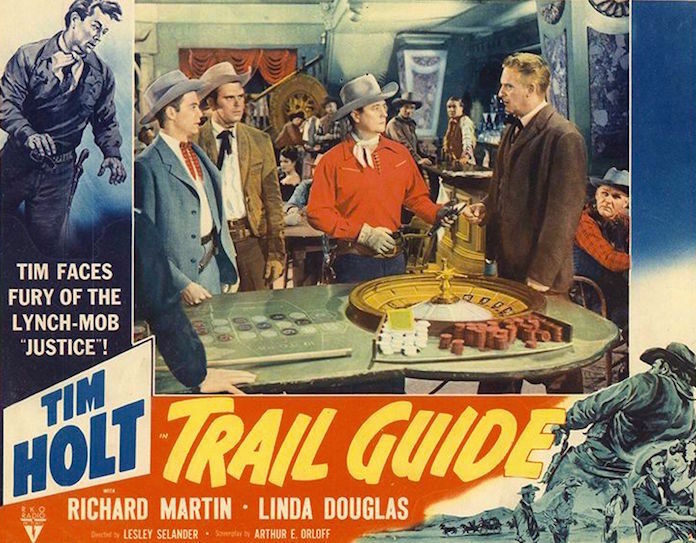 Trail Guide can be found on Tim Holt Western Classics Collection, Volume 4 from Warner Archive. While there’s a fleck of dust or damaged frame here and there, it’s served up well. The four volumes leave a few pictures orphaned, probably due to problems with the available material. Hopefully they’ll turn up someday, and a fifth set will wrap ’em up. These sets are essential. 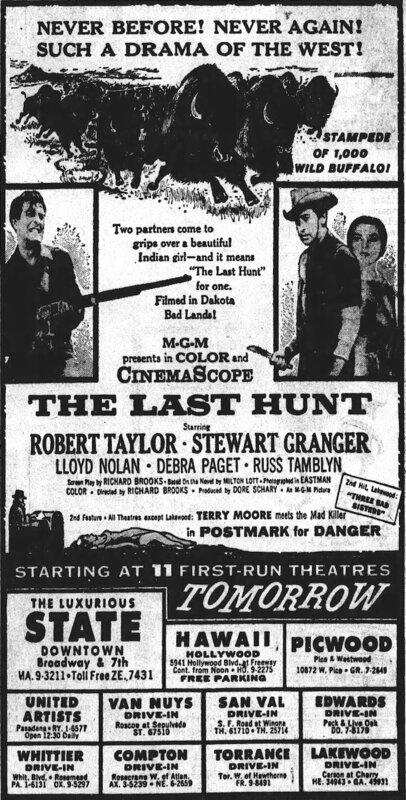 50s Westerns Blu-Ray News #264: The Last Hunt (1956). Warner Archive has announced an upcoming Blu-Ray release of The Last Hunt (1956). 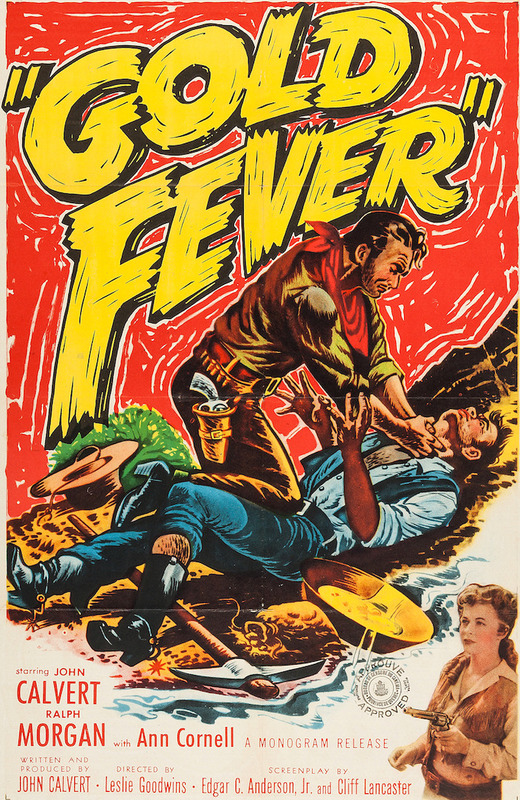 It’s one of the harshest Westerns of the 1950s — you could make a strong case that it’s one of the best. The buffalo hunting scenes — filmed during the thinning of the herd in South Dakota — will stay with you for a while, that’s for sure. And Robert Taylor is chilling. Can’t wait for this to hit Blu-Ray. Highly, highly recommended.